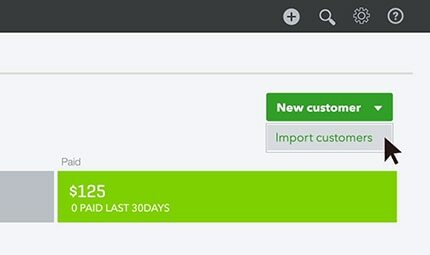 A great way to start working in QuickBooks is to add your customers' contact info. 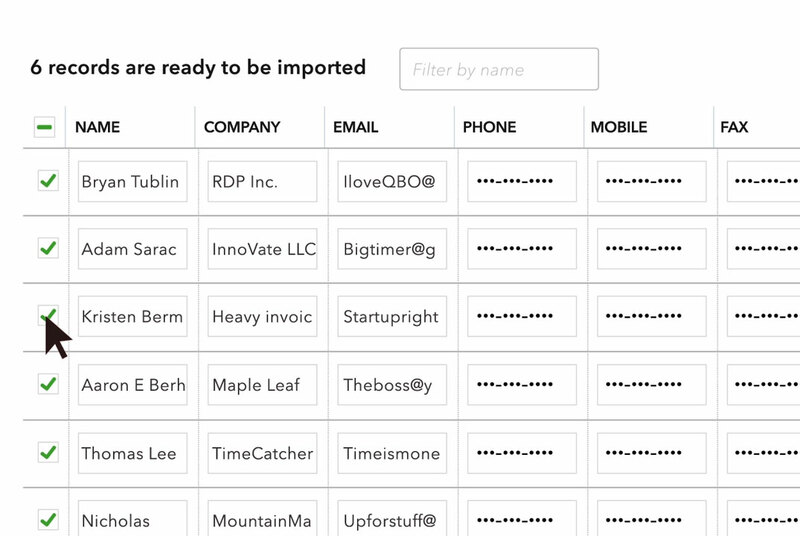 You can import a spreadsheet all at once or add customers one at a time. 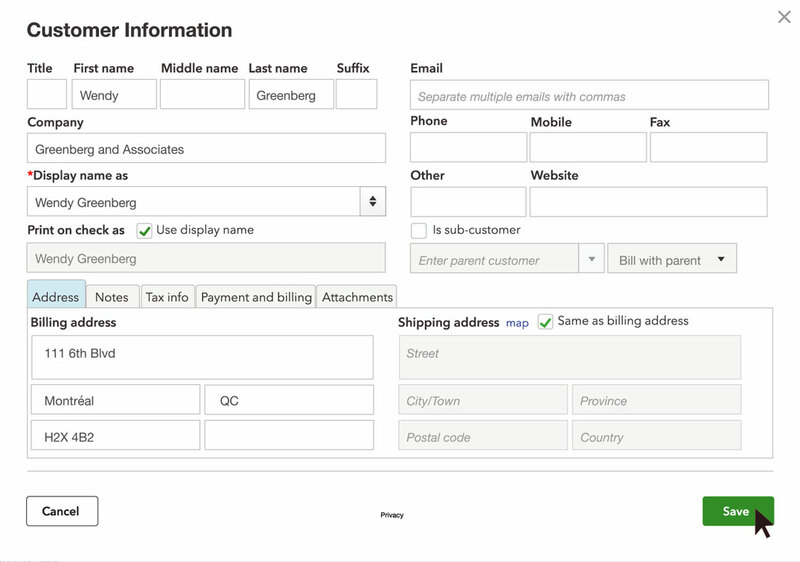 Get to your list of customers by clicking on Invoicing and then on Customers. 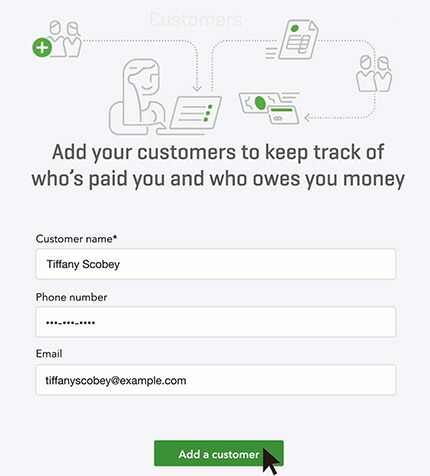 When you first go to customers, you can add a customer right away with just their name, phone number and email. You can edit the customer later to add more details. 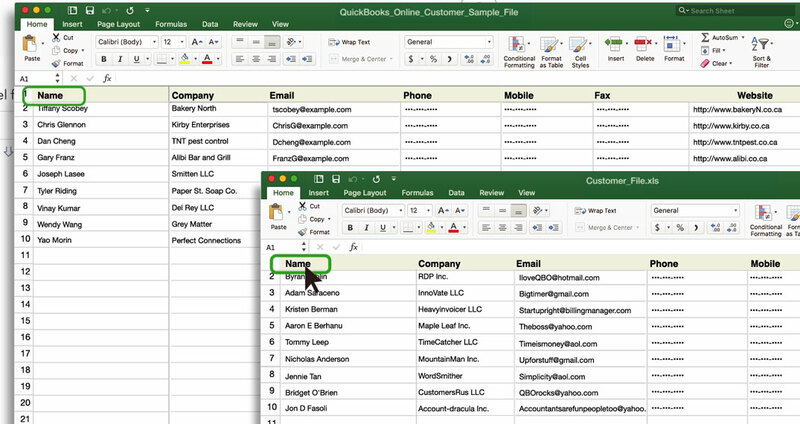 If you have a spreadsheet with your customers’ information, you can import the spreadsheet directly into QuickBooks. 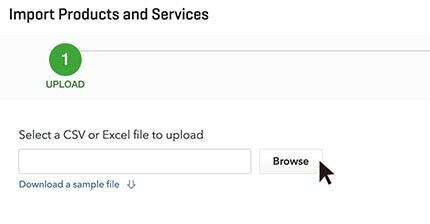 Organize your spreadsheet to match the format shown below or in the sample file you downloaded. Make sure that your column titles and the order of your columns match this example. 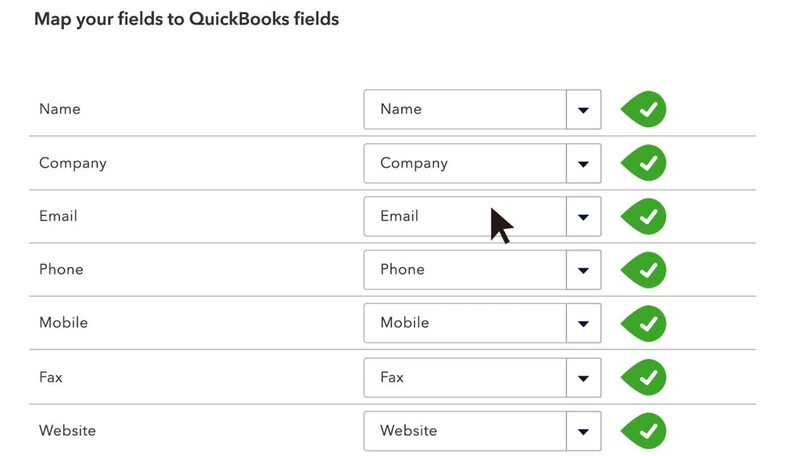 Now comes the interesting part—for each of the QuickBooks fields on the screen, choose one of your Excel columns. That column’s contents get imported into that QuickBooks field. Click the New Customer button. The only required field is Display Name, but you can add as much information as you want.